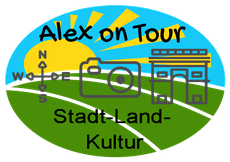 If you need a Guide for Coach-Tours or City-walks everywhere in Austria - i´m your man. Also South-Tyrol, Bavaria or Switzerland is possible. I can attend you maybe to Zurich or Luzern, the lake Constance or the Castles of Ludwig in Bavaria. You can order me for Hours, Day Trips or also for longer Tours. A guided City-Tour in Innsbruck with a Local-guide is a special experience - dont miss it! Tour with all the Informations you need, to have a laid-back and interesting Day. Licensed Guide of Tyrol and Austria! We are trained and educated to provide you with informative, professional and entertaining tours of the city and its environs. Learn from us more about the history of Tyrol and its culture, and about the personalities who have left their mark here. Stroll with us in the footsteps of the Habsburgs, of musical geniuses and of everyday Innsbruck. I´ll be happy to fulfil your individual wish, whether it is a general overview or a more detailed tour in one of our wonderful museums or special places. With my professional guidance i will contribute to your enjoyable stay in Innsbruck or other towns along the valley of the river Inn. I can guide you by tour bus, on foot, by public transportation and even by bicycle. I also accompany my guests to nearby areas outside the city, for example to the famous Bergisel, the mountain range of Nordkette or to famous villages like Kitzbühel, Hall, Kufstein, Schwaz, Rattenberg also Landeck or the Arlberg Region. By using of the Contact formular you can book me for a tour in english. I will contact you within 48 hours in your desired language to confirm the tour. Then we can work out all further details.